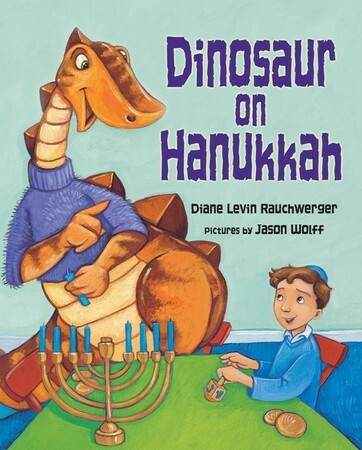 This tale of a mischievous dinosaur who visits a boy on Hanukkah and causes a commotion as he helps celebrate the holiday will bring giggles to children who may recognize themselves (or their siblings!) in some of the dino s exploits. Look for more dinosaur holiday adventures in the future! Youngsters will beg for this playful story again and again What a unique way to highlight Hanukkah rituals! eSource guides are tools for educators--parents or teachers--for helping children understand selected Kar-Ben books. These guides include historical context, definitions, pre- and post- reading questions, plus ideas for projects and activities. Download an eSource for Dinosaur on Hanukkah.